Coinciding with the 30th anniversary of its creation via the California State Legislature, the California Council on Science and Technology (CCST) is honoring two distinguished leaders, one succeeding the other as Chair of CCST's Board of Directors – which provides strategic vision and direction governing CCST as a nonpartisan nonprofit organization. "It has been my sincere honor and privilege to lead the California Council on Science and Technology, convening a magnificent brain trust from across the Golden State to provide timely, objective science advice to the Governor and Legislature of California," says Kennel, who will remain on the CCST Board as Chair Emeritus through 2019. 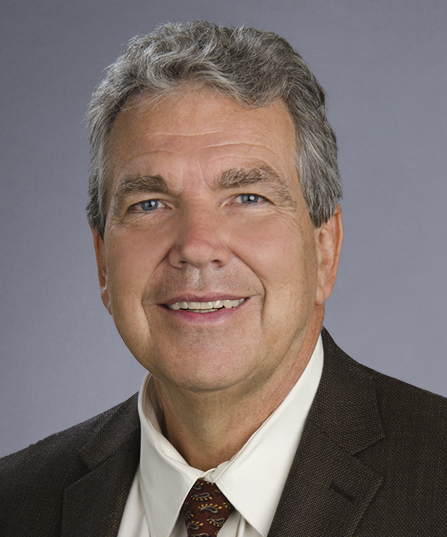 "I have worked with Peter Cowhey for two decades at UC San Diego. He inspires trust. His instincts and vision as a leader, his fathomless experience in the policy realm, and his network of peers across diverse sectors around the world make him the perfect choice as Board Chair." "What makes California a global leader is our drive for ingenuity and our investment in knowledge and talent," says Cowhey, who is an expert on the future of communications and information technology markets and policy, specializing in U.S. trade policy, foreign policy, the Internet and international corporate strategy. "Science has a role in informing California policymaking and in sustaining the prosperity and wellbeing of our peoples and communities. California's institutions of higher learning and its research labs have joined together to make their expertise available on a nonpartisan basis to assist the state government in making wise policy for the benefit of generations to come." Peter Cowhey is a member of the Global Competitiveness Council and the Council on Foreign Relations. He served as chief of the International Bureau of the Federal Communications Commission during the Clinton Administration, negotiating U.S. international agreements for telecommunications and satellite services. From 1999 to 2006, Cowhey served as director of the University of California's system-wide Institute on Global Conflict and Cooperation and as Associate Vice Chancellor-International Affairs from 2007 to 2009. He then served a 12- month assignment as senior counselor to Ambassador Ron Kirk in the Office of the United States Trade Representative in 2009. Subsequently, Cowhey has served on a bi-national experts group appointed by the U.S. and Chinese governments to research and advise on innovation policy. Cowhey also currently serves as board chair of the Grameen Foundation USA, a U.S. philanthropy organization seeking solutions to global poverty. "We are grateful for Peter Cowhey's long standing commitment to CCST," says Amber Mace PhD, CCST Interim Executive Director. "For eleven years he was a member of the CCST Council - the cadre of science and technology experts we rely on to take the pulse of our state's research and innovation landscape. I am incredibly excited for Peter's return to CCST in his new role as Board Chair during this auspicious anniversary year." Per CCST's charter, the President of the University of California wields the formal authority to appoint candidates as CCST Board Members and Board Chair. Appointments are made based upon the recommendations and search process convened by serving CCST Board Members - who are comprised of leaders representing the University of California, California State University, California Community Colleges, Caltech, Stanford, and other state and federal research institutions. This article was created and published by California Council on Science and Technology.